Tired of competing against the big box stores on Black Friday and Cyber Monday? This Christmas, find customers where they’re not looking with a creative marketing campaign designed to command attention and motivate purchases. Not sure where to start? Try one of the following 10 ultra-creative Christmas marketing ideas. Black Friday and Cyber Monday reward early bird shoppers with steep discounts, but a lot of people wait until the last minute to complete their Christmas shopping. Get those buyers through your doors with a Christmas procrastinators sale. Offer your discounts on that day, weekend, or week; and consider extra incentives such as free or discounted gift wrapping and greeting cards to help your procrastinating customers prepare for Christmas! 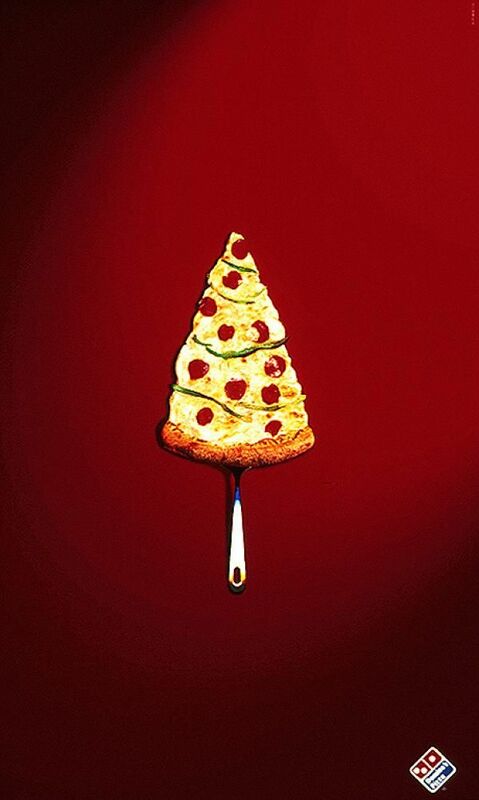 Pizza slices that look like Christmas trees. 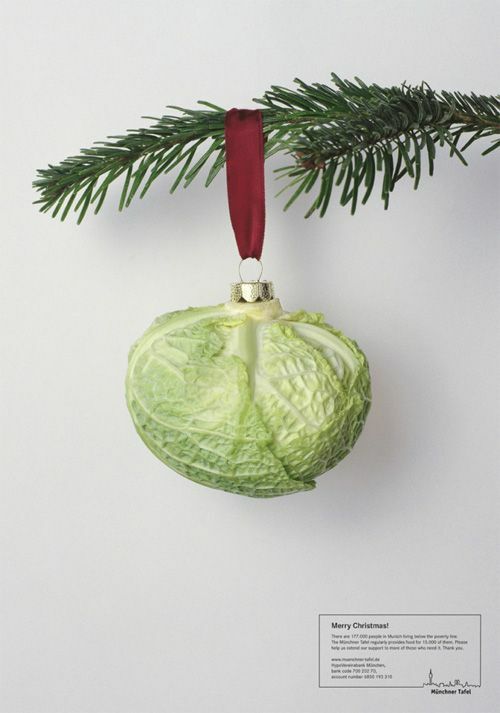 Lettuce that looks like an ornament. Nutcrackers that create a beer bottle shape. These are all real-world examples of how companies have creatively employed Christmas themes in their advertising. You can do the same on your posters, flyers, banners, and other marketing materials. Recruit noncompeting businesses to host a special Christmas bazaar. Each company gets a booth and can promote its own products, services, and holiday discounts. Pool your resources to market the event with postcards, brochures, and other advertising. Print booklets as special Christmas guides to help your customers achieve their goals. Examples include holiday gift guides, how to host the perfect holiday party, how to cook an amazing Christmas dinner, and more. Make sure your topic is relevant to both your customers and your company, and pack your guide with in-depth details, tips, and other information your audience will love. Be sure to mention ways you can help! Make your storefront look like a giant Christmas gift with custom window clings and wall graphics. This is a great way to attract attention to your store, especially if you’re in a busy retail area such as a downtown shopping district or strip mall. Pick one item to give away every day leading up to the end of your Christmas sales, then encourage customers to share your giveaway item via social media. Randomly pick one person who share your giveaway to receive the prize daily. This strategy can help you generate free exposure for your sales, save for the cost of the giveaway items (which do not need to be expensive). Bored kids can cost you money as frustrated parents hurriedly buy what they need and leave your store. Give parents the freedom to take their time and make more purchases by adding a kid-friendly play zone. Even better, keep a dedicated employee on-hand to run fun kids’ crafts and activities, such as making their own ornaments, writing a letter to Santa (which you’ll mail), or putting together a snack pack for his reindeer. The best-decorated house contest is a tried-and-true promotion that lets you tap into your customers’ creativity to promote your Christmas sales. Ask customers to share photos of their Christmas displays on Facebook, and ask your fans to vote with likes. Give a reward to the decorate who earns the most votes plus a random voter, and make sure all images bear your logo to increase your reach. Perfect for B2B companies, place a referral in with your Christmas cards this year. Facilitate a meeting between the people you know and the companies you serve. When you create new business for your customers, they’ll want to create new business for you! Ready to craft your own creative Christmas marketing campaign? Get started today with high-quality discount printing.